In August 1974, Philippe Petit did something no man had ever done or will do again—and he did it eight times. Petit, a 24-year-old high-wire artist, walked across a cable between the tops of New York City’s newly completed World Trade Center towers, at the time the tallest buildings in the world. It was a delirious 1,350 feet in the air, it was totally illegal, and it was deadly dangerous. Gordon-Levitt not only learned how to walk a wire, but also how to ride a unicycle, juggle and speak in a flawless-sounding French accent for the leading role. As Petit, he also punctuates the wildly entertaining tale with “asides” to the audience from a “perch” atop the Statue of Liberty’s torch. Even if you’re familiar with the story (chronicled in the excellent Oscar-winning 2009 documentary Man on Wire), this whimsical, conversational—and oui, somewhat contrived—narration makes it feel engaging, intimate and personal from beginning to end (especially when the movie makes one final, touching homage to the Twin Towers and their majestic pre-9/11 dominance of the New York skyline). 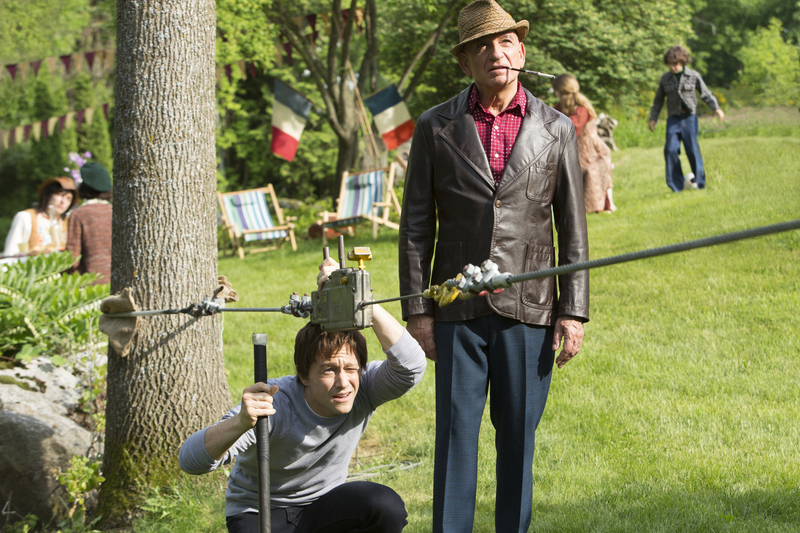 Gordon-Levitt takes us on the journey of his character from a childhood fascination with circus tightrope walkers into his adolescence, as he learned the rudiments of high-wire artistry from Czech maestro Papa Rudy (Ben Kingsley). Then inspiration strikes: a grand scheme to stage “the artistic coup of the century” across the ocean in New York. Director Zemeckis, whose hit movies include the Back to the Future franchise, Castaway and Forest Gump, has fun building to what we know is coming. We watch as Petit meets a beautiful girlfriend (Charlotte Le Bon) who becomes his biggest cheerleader, and begins to gather his motley crew of loyal accomplices, which includes a photographer, a math teacher who’s afraid of heights, and an eager American fan who works at the World Trade Center. 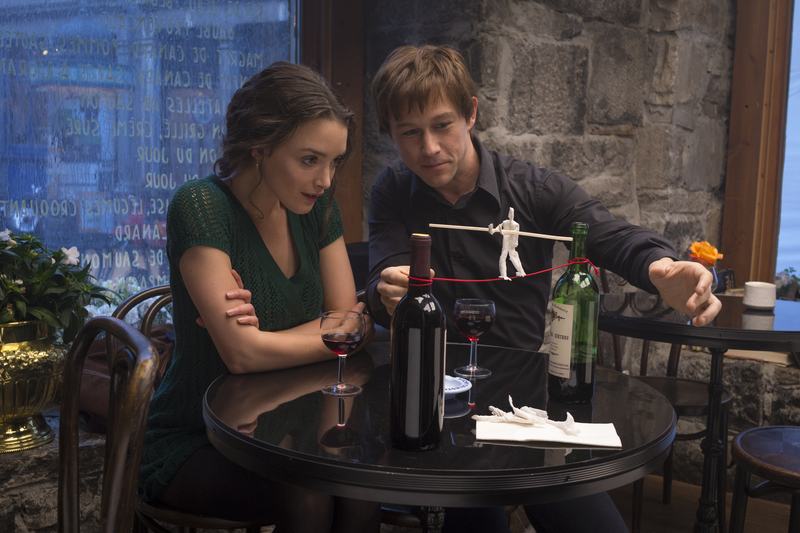 Philippe Petit (Joseph Gordon-Levitt) shares his dream with Annie (Charlotte Le Bon) in TriStar Pictures’ THE WALK. A sequence in which Petit finally arrives stateside and infiltrates the Towers, in various guises, to take photos, make measurements and scope everything out, adds to the tension. Soon he and his team will be topside, in darkness, setting up, running cable and making preparations for the Walk. And when it happens—well, hang on. 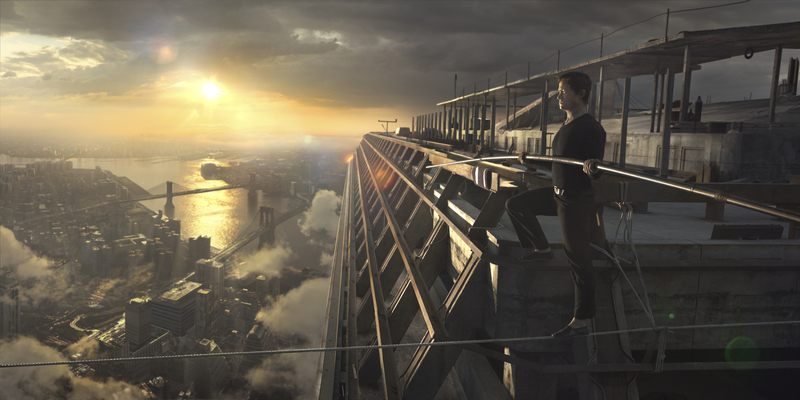 Modern moviemaking technology, combined with Zemeckis’ mastery of narrative, imagery and emotion, makes you feel like you’re out there with Petit, on that wire, in between those buildings, stepping into the “void,” like no movie has ever done before. It’s the most breathtaking, spectacularly nerve-wracking seven minutes of anything you’ll see on screen this year. It’s dream-like, hyper-real, beautiful and terrifying, lovely and scary all at once, and you know it’s just a movie but you can’t believe how giddy and gobsmacked and vertiginous dizzy-awesome it makes you feel. Petit staged his “coup.” The Walk is a coup of its own. C’est magnifique.